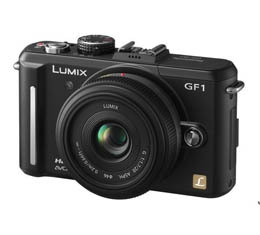 The GF1 adopts the Micro Four Thirds System standard, which was developed as an extended version of the Four Thirds System standard for digital camera systems. 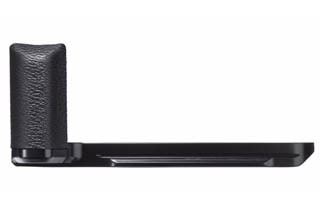 By using this standard and developing a camera body that eliminates the mirror box and optical viewfinder unit, LUMIX® was able to achieve a dramatic reduction in both size and weight compared with conventional digital SLR cameras, to create a new-generation system camera that features Full-time Live View, high-speed, high-precision Contrast AF, HD movie recording, and more. The GF1 is small enough to take anywhere yet sophisticated enough to take you as far into photography and movies as you want to go. Please Note:Lens shown is not included.